Lithgow Tidy Towns and artist Natalie Topaz spent the morning installing the latest laneway artwork on the library wall along Burns Lane this morning. The vibrant panels titled ‘Seasons of the Daughter’ add a burst of colour to the laneway and the dull section of brick wall. Be sure to wander down Burns Lane on your way to the library and check out the latest additions. To herald the approach of spring, Lithgow and District Community Nursery, with involvement from Lithgow and Oberon Landcare Association, Lithgow Tidy Towns and Lithgow Library are celebrating Wattle Day with a special morning tea and talks on Thursday 30 August 2018 from 11.00am. Speakers at the morning tea will be Huw Evans – Senior Land Services Officer with Central Tablelands Local Land Services and Helen Drewe, one of the authors of Native Plants of Hassans Walls, a book that highlights the diversity of our local native plants including wattles. 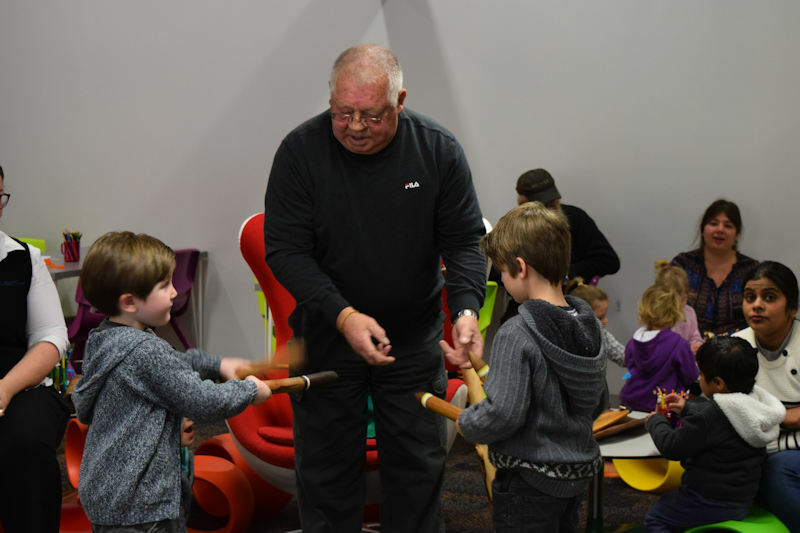 The ukulele group has been learning wattle songs and members of the Community Nursery will be available for questions. Morning tea will start at 11am and be followed by the talks. In conjunction with the Lithgow and District Family History Society the Lithgow Library will be the venue for events celebrating National Family History Month during August 2018. Throughout the month of August an eclectic collection of items donated to the LDFHS over 30 years will be on display, along with items from the library collection. The Society has invited Leonie Knapman to speak about her life growing up as a miner’s daughter in Glen Davis and Keith Painter will share some of the interesting information that he has unearthed during his research on James Padley. The free history talk will take place on Saturday 11 August from 9am to 11.30am and includes morning tea. Bookings are essential and can be made by contacting the Lithgow Library on 63529100. Lithgow Library celebrated NAIDOC Week with a special Storytime with Uncle Owen. The children enjoyed learning about his collection of artifacts including his very noisy bullroarer and clapping sticks. The library would like to thank Uncle Owen who came along at very short notice to help us celebrate NAIDOC Week. A fabulous time was had by all. Sandie Docker is bringing her debut novel, ‘Kookaburra Creek Café’ to Lithgow Library on Monday July 30 at 11am. Sandie will talk about the experiences that led her to the idea for her beautiful debut novel which takes readers on an emotional journey through loss, love and hope. The Kookaburra Creek Café tells the story of three generations of women, each with a tragic past, who are thrown together seemingly by chance in a quirky little café in the small Australian town of Kookaburra Creek. Please contact the library on 63529100 for more information. 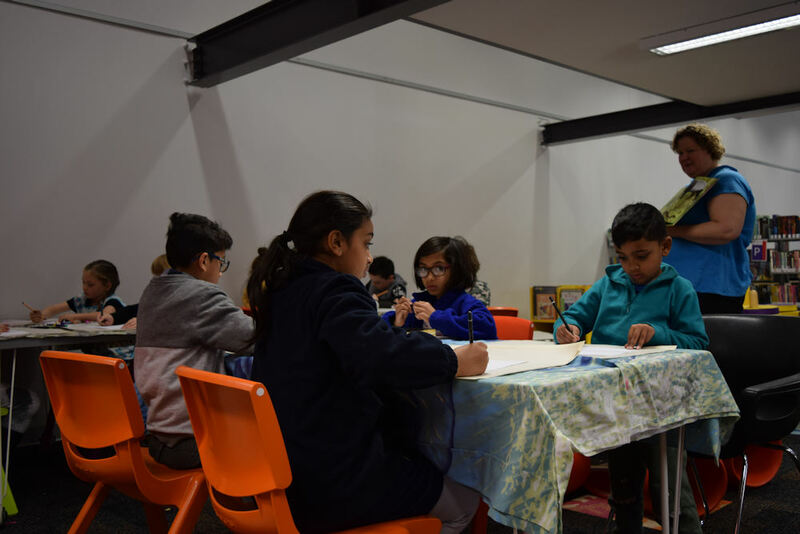 School holidays is off to a great start with our fun art sessions today with Wendy Anne. Thanks Wendy for all your great tips, and thanks to everyone who came and drew some fantastic animals! Join us at Lithgow Library on the 30th of July for the third in our series of Skill Yourself Workshops. Everyone is welcome – During this workshop we will be learning how to repair holes in plaster board and how to take care of your paint brushes and equipment. Light snacks are provided. No booking is required, just come along and join in. For more information please contact the library on 6352 9100.